Tom Koch was born in Missouri USA in 1953. He trained as an actor, singer and dancer at the University of Missouri in Kansas City. His early professional work in regional theater allowed him opportunities to perform in a wide variety of productions, ranging from Shakespeare, musical comedy, experimental theater, ballets and choreographed dances in operas, musicals and other theatrical pieces. In 1979 he moved to New York where he began teaching ballroom dancing at the renowned Fred Astaire Dance Studio. But years of back pain finally led to a severe injury and the decision to stop performing. Then in 1983, Tom took his first lesson in the Alexander Technique, and so found his true calling. After completing a three-year professional training, Tom was certified to teach the Alexander Technique by the American Center for the Alexander Technique in New York in 1987. Among his very first private students were several members of William Forsythe's Ballet Frankfurt. At their urging, Tom moved to Frankfurt in 1991. The unique style of William Forsythe and the movement intelligence required of his dancers created an ideal environment for Tom to develop the application of the Alexander Technique and its principles to the demands facing dancers. In 1994 Tom relocated once more to Amsterdam, where he taught for seven years at the Opleiding Moderne Theaterdans in the Hogeschool voor de Kunsten. He has also taught workshops for Artez Music Conservatory (Zwolle), Codarts Dance Academy in Rotterdam, Charleroi Danses, Dance Company Krisztina de Chatel, Wuppertaler Tanztheater (dir. Pina Bausch), and De Rotterdamse Dansgroep, PIA (Productions for Independent Artists, Amsterdam), and the International Theatre School Festival Amsterdam. Tom also helped inspire and guide Anouk van Dyke as she developed her own Counter Technique for dance, as well as teaching for her "One Body - One Career" summer intensive programs for dancers. Tom's primary work has always been his private teaching practice. There he has taught the Technique not only to ballet dancers but also modern dancers, jazz dancers, tap dancers and belly dancers, pianists, drummers, violinists and oboists, opera singers, show singers, blues singers and jazz singers, as well as computer programmers, rock climbers, executive trainers, and even a government economist. He has helped clients cope with medical conditions, such as scoliosis, Multiple Sclerosis (MS), Bechterev Disease (ankylosing spondylosis), and AIDS, as well as temporary challenges, like broken bones. Along with Michael Schumacher and Vitor Garcia, Tom co-founded Group Schwuppdiwupp, a collaborative ensemble that creates cabaret-like theater, fusing dance, vaudeville, voice and disco. 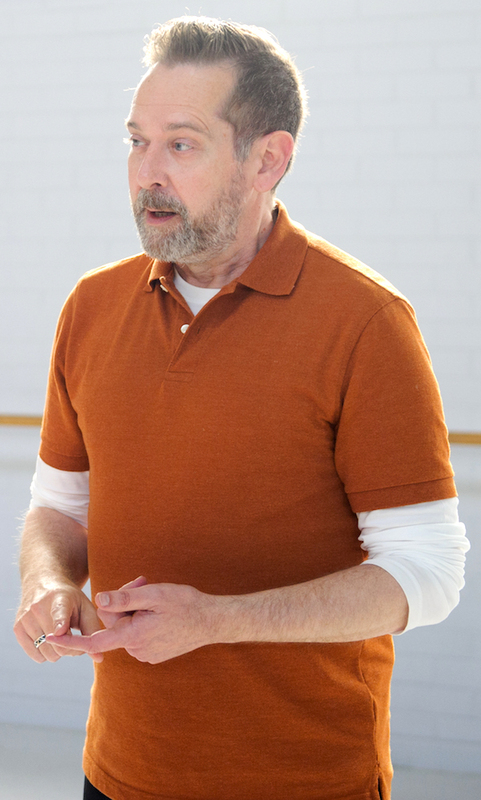 In recent years, Tom has also served in the roles of dramaturge and movement consultant, such as for the Ballet Frankfurt production of Blender Head, for Roberta Marques and Ronald Burchie in their Rotterdam production of When Gene Kelly Smiles, and for Ivana Muller's award-winning While We Were Holding It Together. Tom's most recent projects include coaching Michael Schumacher and Sabine Kupferberg in Queen Lear for the Holland Dance Festival, and movement consultant for Dansgroep Amsterdam's My Favorite Parasite. Countertechnique is the dance technique developed by Tom's student Anouk van Dijk. She and Tom teach together yearly for the One Body One Career Intensive.